Many statements within Jean’s memoir indicate the family were by no means wealthy but had enough to get by, although she does not mention her mother’s occupation. 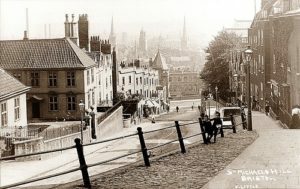 ‘One of the families in the lane seemed extremely poor,’ (p. 2) she writes, claiming a little girl called Mabel did not even wear knickers or socks. This implies her own family had enough for the essentials but also her childhood awareness of what other families lacked. ‘Sometimes we earned money by running errands for neighbours,’ (p. 2), Jean tells us, and the sisters earned their own money from a young age and never expected anything from their mother. How different from the time we live in now! 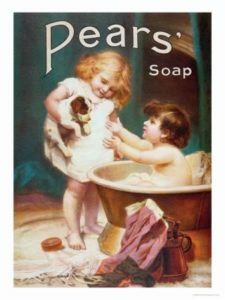 Jean Court had a bath every Saturday and even then, it had to be shared, although this was a common occurrence within working-class families during that period. The water had to be boiled in the cellar and carried upstairs in ‘bucketful’s’ (p. 3) by their mother, making it difficult to bathe more than once a week. Stories like this offer a snippet of how childhood was for children in the 1920’s. Jean’s mother is portrayed as a lovely woman. Scared of spiders, ‘We would scream out for mother and she would reach up and squash it with her slipper,’ (p. 4). Both Jean and Mary seem as though they were very close to their mother and he did a lot for her children, squashing spiders being one of her many roles for the girls. Throughout the memoir, their mother, who again is not named, often seems to be working hard around the house to provide food, hygiene and a happy childhood for her daughters. I can imagine it was particularly difficult to bring up the sisters, as their partially blind grandfather is said to have spent ‘all his days in his bedroom.’ (p. 3) ‘Although he was only in his seventies he was prematurely senile, in body, never in mind,’ (p. 3). Still, he is represented as a kind but quiet man. During Jean’s childhood he was often vacant, only seen at meal times, but in the memoir he is portrayed as a caring, gentle father and grandfather. ‘It was grandfather, who urged mother to get out of these four walls,’ (p. 5) and ‘grandpa always bought shoes for our birthday gift’ (p. 6). These are just two of many quotations that give the reader a glimpse of his thoughtfulness to his family. Whilst searching for an author, Jean Court’s typescript memoir, ‘Living In the Lane’, stood out to me. This was mainly due to the time frame in which the memoir was speaking (1927-34) around the time my own grandparents were young so I could learn about how different things were then. The second reason I chose Jean’s memoir was for the topics the memoir touches on. These include school life, family, punishments and her early encounter with radio and cinema. I was particularly interested in an author who touched on school life and family as I was extremely keen to find out how it differed from the era we are in now. The mentions of technology were a bonus, but I soon found out that Jean touched on a lot more than these subjects. Jean speaks about the location of the home in great detail. By the end of the memoir it almost feels like you too lived in the house on the lane. Throughout my research on Jean Court, I will delve deeper into her school life, her trips to the cinema, her punishments during school, her relationship with other working-class children on the lane and the Christmas dinners her mother worked hard to prepare. This memoir is a brilliant, emotional and humorous extract of the lives lived on the lane back in Bristol in 1927-1934, which you can read for yourself thanks to Brunel University Library.